Whether you’re looking for an adrenaline-packed vacation with your best friends or a romantic getaway with your special someone, Barcelona has everything you need! A last-minute break to Barcelona is the perfect solution to the everlasting debate of where to spend your weekend; this exotic location has everything from shopping in the city to hiking in the mountains. After visiting this amazing area, you’ll want to spend all your weekends away in Barcelona! Three days is such a brief amount of time to pack in all of the countless Barcelona attractions, so check out this guide to five of the best tours that will help you see as much of this city as possible! The best way to discover the true culture of the city during your weekend in Barcelona is to attend a walking tour. The Feel Free Walking Tours offers daily tours to see the best attractions; these tours are completely free of charge, making a great addition to a bargain break in Barcelona! Learn all about Gaudi modernism, ancient monuments, and art history through these multiple tours. These are a great way to educate and engage visitors of all ages; they even provide a Kick Scooter Tour, a fun activity for kids. You have to take lots of pictures so you will always remember your weekend in Barcelona! Get the best shots on a Barcelona Photo Walk, held the second Saturday of every month. This tours will guide you throughout the most picturesque scenes of the city so you can take fantastic photographs to commemorate your visit. This is a wonderful way to meet other individuals interested in photography while exploring during your Barcelona weekend break. Learn all about the area from a Barcelona native during the Discover Walks of Barcelona. Navigate through the famous Ramblas, enjoy skip-the-lines visits to local attractions, and view the best must-see landmarks. Your weekend in Barcelona is not complete without one of this fantastic tours; group tours, private tours, and family specials are all offered. 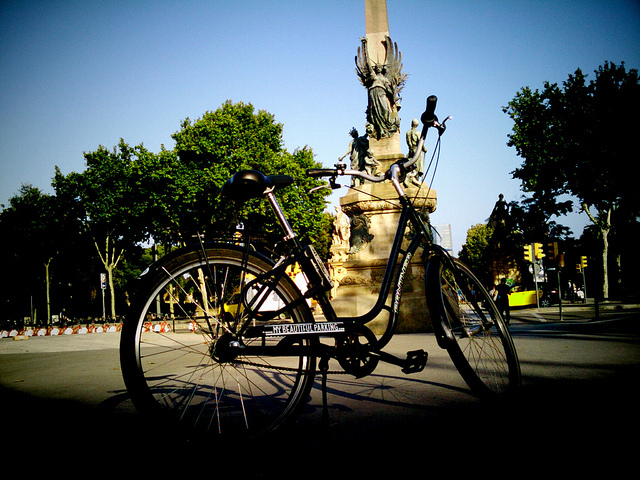 See all the best sights during your weekends away in Barcelona- all on a bike! Cycle through beaches, mountains, city streets and more on one of these awesome guided bike tours. Rentals are available and Barcelona Bike Tours are offered daily to give everyone the opportunity to see the most of the area as possible. Taste the best of Barcelona! Participate in a Barcelona Food Tour to sample all kinds of traditional dishes from the greatest restaurants in the city. These tours can be customized to accommodate all kinds of dietary restrictions and preferences so you can have the most delicious food experience possible. Make sure your dream vacation includes legendary meals every day! Stay in the Best Barcelona Rentals with BizFlats! bizFlats wants to provide you with the most luxurious accommodations to accompany your Barcelona weekend break! Book one of our amazing rentals to receive a relaxing weekend in the perfect vacation home, fully equipped with the best amenities. Savor breathtaking views of the sea and city- right from your balcony! Check our availability and plan a last minute break to Barcelona today!